The Department of Women has officially launched children's and men's robots to help bring about more awareness and generational change to build a "gender-based violence-free" society. This initiative follows the introduction of a women’s robot, launched by President Cyril Ramaphosa on National Women's Day. 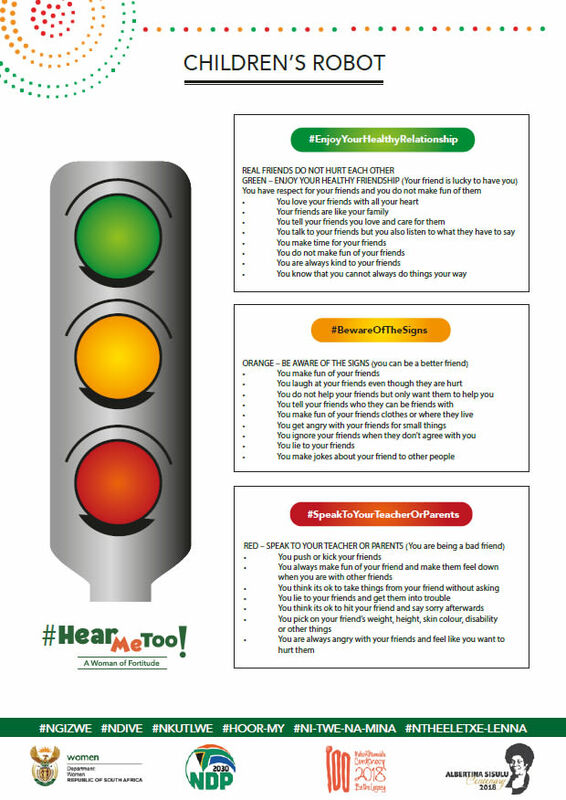 The aim is to educate women and girls about the telltale signs of when a relationship is healthy (green), to when it is becoming risky (orange), to when they are in danger (red). The Department says the children’s robot aims to condition South Africa’s next generation on how to be a good friend and to educate them about the negative impacts of aggressive activities. The men’s robot was developed in response to a need to educate men on how to be a good partner, to start conversations and hopefully, to engineer a new society. In spaces, where especially men are too shy, or too afraid to speak up, we see men refer to the robots while speaking to each other. We want teachers to take the children’s robots and start conversations with children in classrooms and even in ECD Centres. 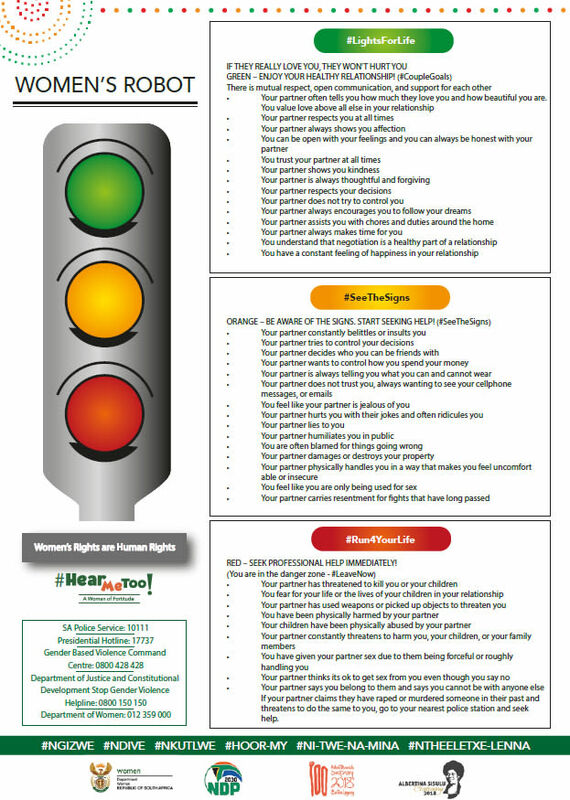 To reach young men, the Department of Women is set to embark on a series of dialogues across South Africa to introduce the men’s robot to citizens and civil society organisations. The dialogues will be convened in partnership with the Departments of Basic Education and Higher Education and Training, with the aim of bringing about generational behavioural change. The Department will take the children’s robot into schools where it will be used to educate younger audiences about the difference between healthy and unhealthy friendships. Bursaries totalling R200 000 up for grabs for 15-U18 year-olds.